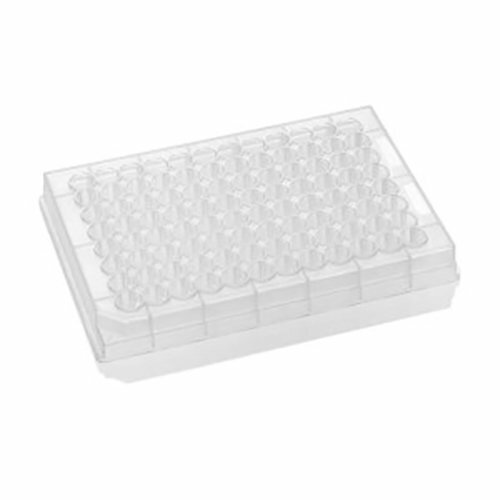 Ideal for compound libraries, combinatorial chemistry, and luminescent assays, Biotix assay plates are made of non-treated, medical-grade virgin polypropylene in 96-well format. These plates are certified free of DNase, RNase, human DNA and endotoxins (pyrogens). Large well diameter with raised “chimney” style wells which help reduce the chance of cross-contamination and allow a secure seal for sealing mats and sealing films. Alphanumeric grid to help with sample identification and organization. Notched bottom corner to be used as a reference for plate orientation. Available in V-bottom and U-bottom wells dependent on your assay requirements.